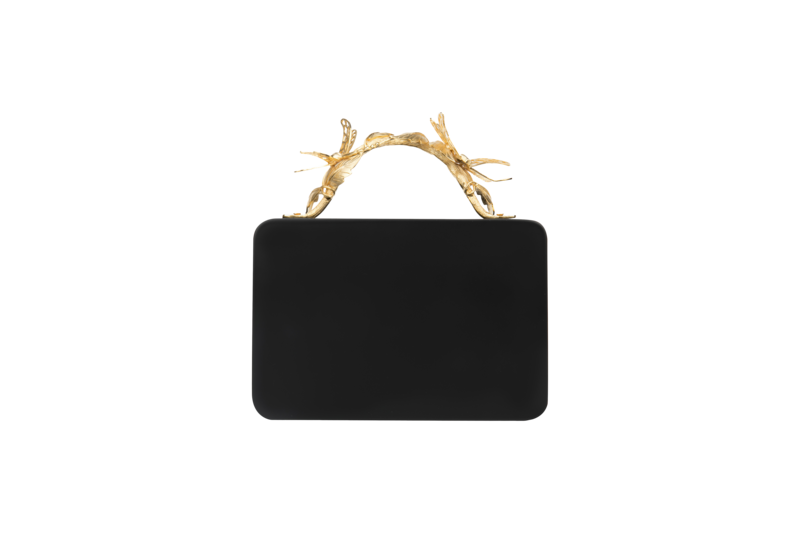 These aesthetically designed hand carved wooden clutches with a handmade metal handle decorated with intricately detailed bugs, leaves and twigs are sure to be the latest smash hit in the accessory department. Its time to adorn your personal taste with these thoughtful combinations that are high on functionality and quality. Wash Care Mandatory for Bags:Wipe with a soft damp cloth.Do not allow to get wet.When not in use, we highly recommend to keep it in the dust bag in a dry, well ventilated place.Do not expose to direct heat or sunlight for extended periods.Avoid rubbing and scraping your product with / against rough or uneven surfaces. Duet Luxury subscribe to Andy Warhol’s declaration that “fashion is more art than art is.” Some of their creations are almost fairy-tale like, and the embellishment is so fantastical at times, that no two pieces look alike. Each design is a limited edition, a work of art. The label was started by Priyanka Baid and Shruti Bansal. They aim to design for the modern woman of today, by coupling the futuristic with the functional. 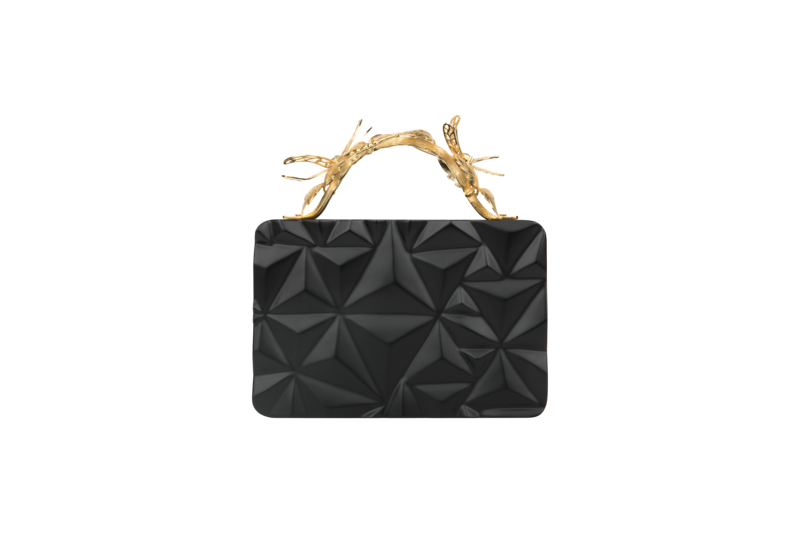 They have created a collection of fused materials, acrylic, Swarovski, mirror, leather, with wood to create unconventional clutch bags. They aim for a contemporary feel, whilst subscribing to traditional design and craft techniques. The collection is all made by hand, and resplendent with unique shapes and embellishments. 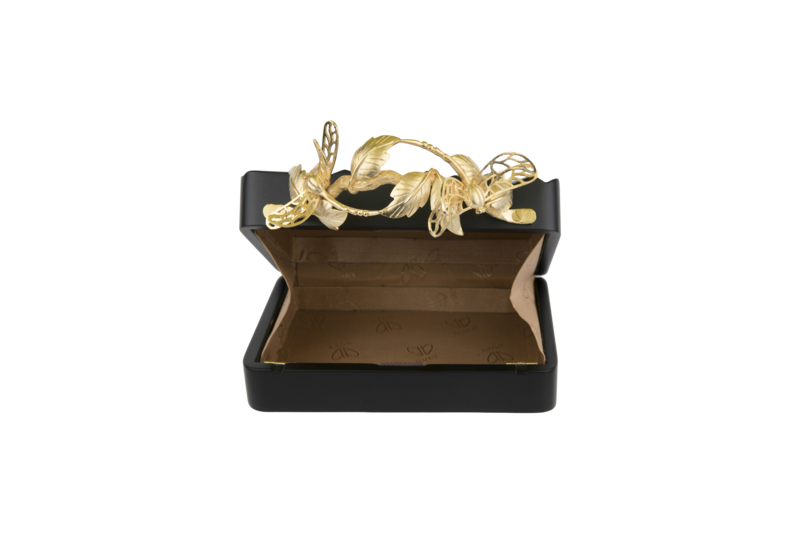 We particularly admire the handles on the clutch bags, either made from metals or semi- precious stones, they twist and turn, creating intricate patterns and shapes that feels as precious as fine jewellery.